Today we're pushing our main client update that we announced yesterday. Yesterday we were still confirming fixes when we put the update out, we wanted to be 100% sure before we told you. Here are some extra fixes we have made. Along with forcing the launcher to close upon game launch. We have also fixed the "no regions" to select bug. It was brought to our attention by the community that the Kar98k ironsight was not 100% correct. We readjusted its aim to be pixel perfect to the ironsight. Members of the community also pointed out that the BAR's accuracy was not in line with the ironsight. 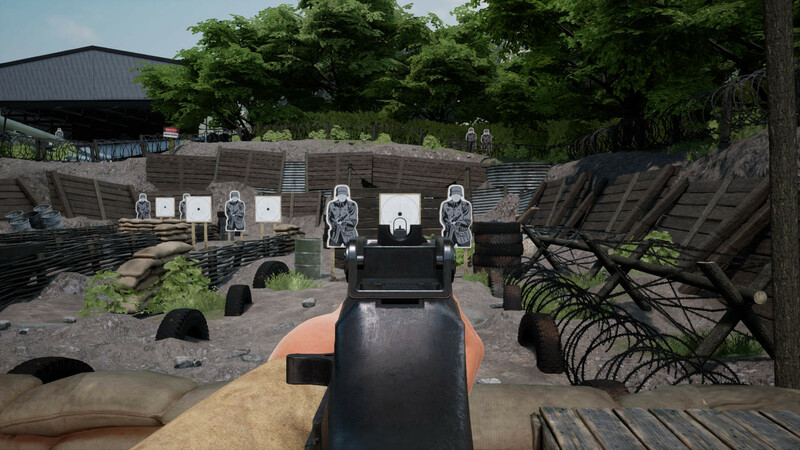 Along with the ironsight improvements we announced yesterday, we have also fixed the ray point for the ironsight. Obviously, the BAR is not 100% accurate when spraying, however now: we want to see one taps aplenty. Again, we've been trawling through the maps fixing as many collision issues as possible. We highly anticipate you to find more, just keep reporting them and we will fix them. Thank you to the community for their great work relating to collision issues. There are quite a few Fatal Error crashes, however we've managed to get through a lot of the most common ones. Previously there were hitbox issues with the faces. We have now fixed that, internally we have seen a lot more 'heddies'. There are still crashes and there are still collision issues that we are working towards fixing. The game will still occasionally Fatal Error when you click 'Exit to Menu'. We are aware of the issue and are working towards a fix. THANK YOU FOR HELPING US FIX THESE ISSUES! Have a great weekend and stream lots of Battalion! We're really excited to see how the weapon changes play out, the best way for us is to watch you guys playing! OscarSyx: Not important what it was, but what it will become. Leave past to historicians and work hard for the better future. This game has potential to be a legit progaming title. "today were rushing* our main client update"
It's trash plain and simple. The game is still mess for me. I have never seen anything like it. I get a green and purplish color flickering on start up. Been this way since the previous update. I was hoping the new update would fix it but to no avail. Don't sy it's my GFX because the game ran fine until 2 updates ago. Now it's just wasting space. Unplayable mess of a game. I'm not sure, but there are plenty of happy gamers out there but most of them don't write here and say thank you, because they sadly to say, have it for granted that it should run smooth and silky. Most people here post only negative feedback, but in my opinion, majority of people are quite happy with it. Maybe I'm wrong.